Marazion this weekend. 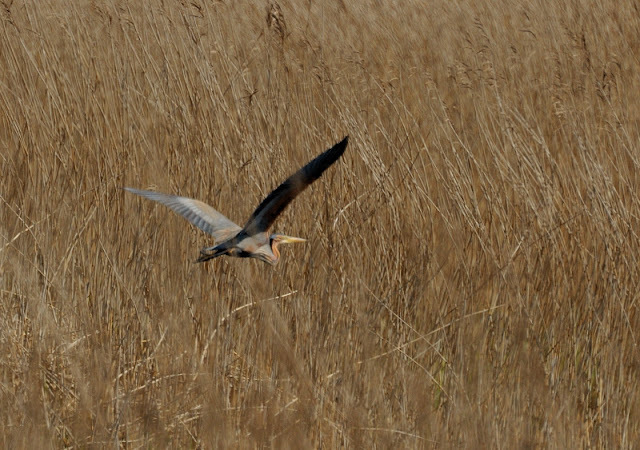 There are about 40 records of this stunning heron in Cornwall and records seem to be increasing in recent years. Indeed, in 2006, a pair were present at College up to the end of June, though no breding was proved. Purple Heron breeds in Africa, central and southern Europe, and southern and eastern Asia. The European populations are migratory, wintering in tropical Africa; the more northerly Asian populations also migrate further south within Asia. It is a rare but regular wanderer north of its breeding range, as we have witnessed in Cornwall. The two record shots below were taken today at Marazion today. 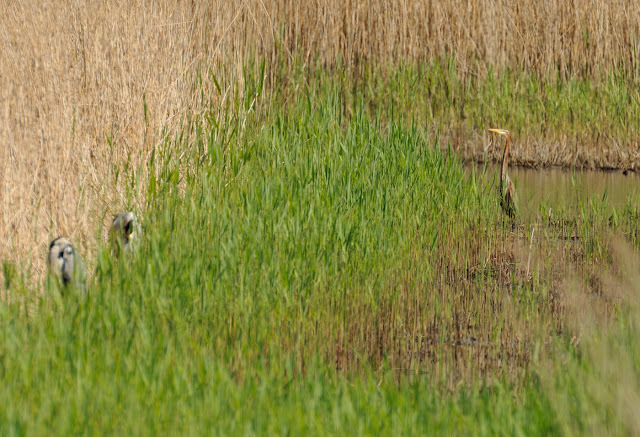 Purple Heron and Garganey at College Res.